Cloakroom Wardrobe Metallic Industrial Style Depth 50. SKU: FL5050IND. Categories: Wardrobe industrial, Wardrobe industrial. 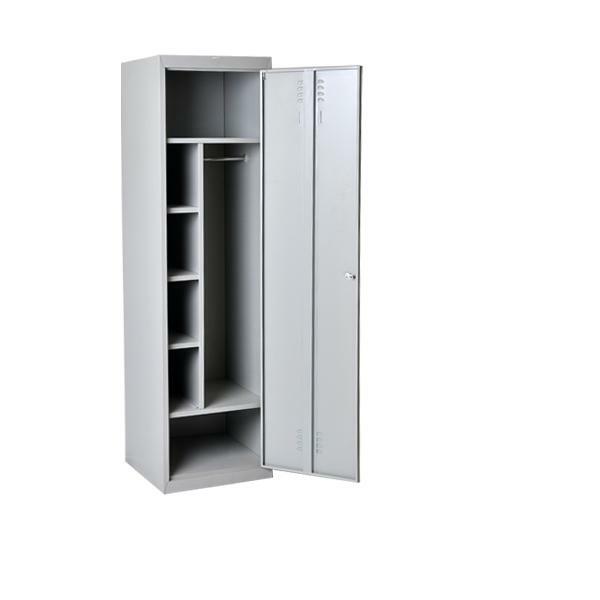 Cloakroom cabinets made of high quality steel sheet of 7/10 thickness. Equipped with clothes hanger rod, top fixed shelf. This cabinet contains two separate compartments. Its partition makes it possible to separate clean clothes from dirty clothes. The cabinet door is equipped with a double high and low ventilation, label holder, clothing rod and umbrella stand to collect the drops. Lock or padlock door sold at an extra charge. Adjustable feet. Epoxy powder coatings. Standard color: GRAY RAL 7035.